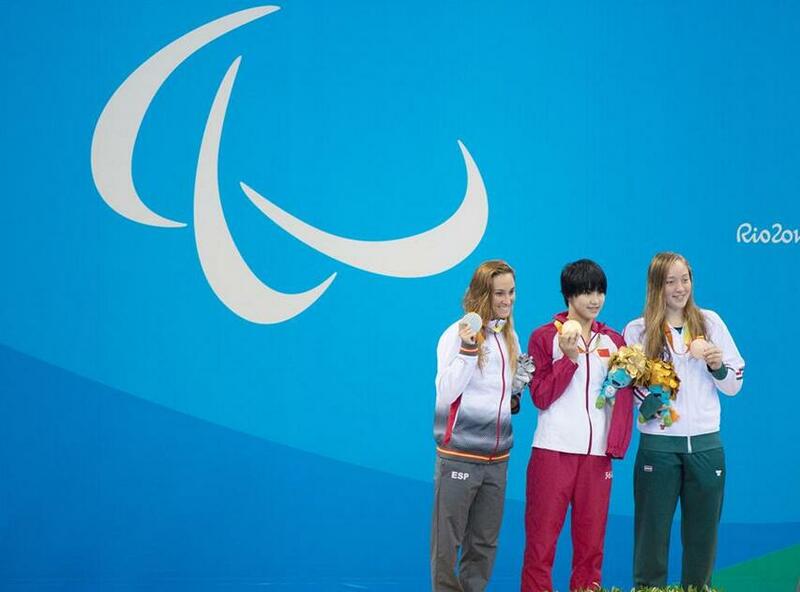 Of all the Chinese Paralympians in Rio, Xu Jialing who only recently turned 14 is the youngest. The teenager participated in six swimming events and would turn in her best performance in the 100 meter butterfly S9 division to win the gold medal. At just 14 years old, it's no surprise that this is Xu's first Paralympics. The youngster admitted to being a bit nervous heading into her events, and as the most junior athlete in the Chinese delegation, she says her age is a double-edged sword. "The negative side is that I lack some competition experience, but the positive side is that I am young and energetic. I can use my extra energy in the second half of races to win events," said Xu Jialing. And Xu did just that in the second half of the 100 meter butterfly as she surged into first place down the stretch and hung on to win by a slim margin with her gold medal efforts earning a standing ovation from the spectators. It was a hard-earned title for the young Chinese. At five years old Xu lost her left arm in a car accident and the trauma led her to become withdrawn. In order to encourage her to come out of her shell, her parents got her into swimming. Xu's skills in the water quickly progressed and after a great performance in this year's Swimming Open Championships for disabled people, she earned a place on China's Rio Paralympics team. "I hope in the next Paralympics I can win all the medals that I didn't win in Rio," said Xu Jialing. After claiming a gold medal in her Paralympics debut, Xu has a fitting reward for eight years of tough training and added motivation to keep improving in the pool. And at just 14 years old, she has a long career ahead that will no doubt be littered with many more memorable achievements.